Americans love freedom. And nothing is more free at the moment than the internet. As long as your not at school, your local library, or at your work. But in the comfort of your own home as long as you don’t live in China, your internet is free, unfettered access to everything. But Verizon believes access should be more free to those with deeper pockets, so they can have first dibs on your dollars. This is the exciting argument of net neutrality. Before you go to sleep understand that net neutrality is kind of a big deal. Cause it is the nose of the camel under the tent of the freedom that lets you currently enjoy watching cat videos for three hours straight. Net neutrality is simple, it says that everyone gets the same opportunity to sell you stuff. Amazon.com loads no faster than Buy.com, or Freestuff.com, but Verizon argues that’s not freedom, that repression with freedom flavor. Their argument is that if the internet is really free than they and others, should be able to use their money to their advantage. They should be allowed to have faster download speeds, and have certain sites blocked because it slows down the server, or says something bad about Verizon, or the government, or features gay teletubbies. The FCC has put the kibosh on this thinking saying that when the government gave up the internet to private companies they agreed to certain rules, like not using it to take over the Earth. But Verizon argues that the FCC is making laws outside of the purview. Which is slightly true, because the government really hasn’t laid down in concrete language who is in charge of policing the internet. So that’s when Verizon brought the hammer down, the hammer, of the First Amendment of the Constitution. Which I’m pretty sure according to them means I can do whatever the hell I want cause you said that you love me. Or something to that effect. 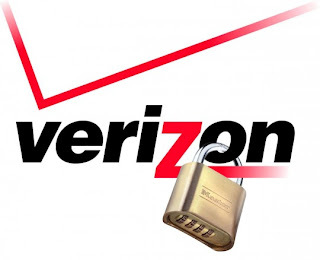 For now Verizon is still wading through legal waters to try and get this done, but it is slow running train. Because it’s a bit of a paradox. And that may tear a hole in the fabric of the universe, so look out for that. They claim that they are being denied their first amendment rights to take other people’s first amendment rights. What Verizon argues is that people can make other internet decisions and those companies can keep you from sites but it might be different from the sites that they don’t want you to look at. The government continues to spin in circles about an issue that is actually pretty important but has the power of a super-sized ambien on the general populace without the fun sleeping walking/eating/lovin’. But this is an issue that will not go away anytime soon and if Verizon has their way they’ll block the websites that talk about this issue before you notice.